Avant-garde film is almost indefinable. It is in a constant state of change and redefinition. In his highly acclaimed history of experimental film, A.L. Rees tracks the movement of the film avant garde between the cinema and modern art (with its postmodern coda). But he also reconstitutes the film avant garde as an independent form of art practice with its own internal logic and aesthetic discourse. 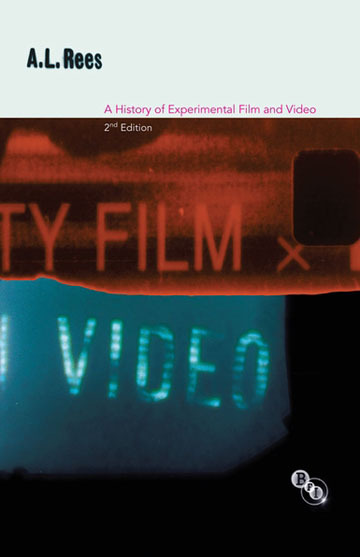 In this revised and updated edition, Rees introduces experimental film and video to new readers interested in the wider cinema, as well as offering a guide to enthusiasts of avant-garde film and new media arts. Ranging from Cézanne and Dada, via Cocteau, Brakhage and Le Grice, to the new wave of British film and video artists from the 1990s to the present day, this expansive study situates avant-garde film between the cinema and the gallery, with many links to sonic as well as visual arts. The new edition includes a review of current scholarship in avant-garde film history and includes updated reading and viewing lists. It also features a new introduction and concluding chapter, which assess the rise of video projection in the gallery since the millennium, and describe new work by the latest generation of experimental filmmakers. The new edition is richly illustrated with images of the art works discussed. Acclaimed history of experimental film, considering the avant garde as an independent form of art practice and exploring many of its practitioners.